This entry was posted in candle making supplies, Fragrance Oils, Natures Garden, Natures Garden Fragrance Oils, Soap making supplies, wholesale fragrance oils and tagged air freshening aroma, air freshening candle fragrances, air freshening candle scents, air freshening fragrance oils, air freshening fragrances, air freshening scented oils, air freshening scents, brown candle dye, brown liquid candle colorant, brown liquid candle dye, bulk fragrance oils, bulk waxes, candle fragrance, candle making supplies, candle waxes, cinnamon aroma, cinnamon candle fragrances, cinnamon candle scents, cinnamon fragrance oils, cinnamon fragrances, cinnamon perfume, cinnamon scent for home, cinnamon scented candles, cinnamon scented oils, cinnamon scents, diy potpourri, fragrance oil, fragrance oil spotlight, fragrance oils that smell like potpourri, fragrances for candles, ginger candle fragrance, ginger scent, ginger scented candles, home scenting, home scents, homemade potpourri, homemade room scenting, how to make potpourri, how to make scented candles, how to make scented potpourri, liquid potpourri recipe, natures garden, orangecandle dye, orangeliquid candle colorant, orangeliquid candle dye, potpourri making supplies, potpourri recipe, potpourri recipes, potpourri spice aroma, potpourri spice candle fragrances, potpourri spice candle scents, Potpourri Spice Fragrance Oil, potpourri spice fragrance oils, potpourri spice fragrances, potpourri spice scented oils, potpourri spice scents, potpourri supplies, red candle dye, red liquid candle colorant, red liquid candle dye, room scenting, room scenting recipe, scented potpourri bag, scents for home, spice aroma, spice blend fragrance, spice fragrance oil, spice incense, spice potpourri, spice potpourri recipe, spice room scents, spice scent, spice scented candles, spice scents for the home, spicy candle fragrances, spicy liquid potpourri recipe, spicy scent, strong candle fragrances, warm scents candles, wholesale candle wax, wholesale fragrance oil, wholesale fragrance oils on October 15, 2016 by Deborah Ward. Potpourri Spice Fragrance Oil is a spice scent by Natures Garden. This aroma is a melody of various spice scents that create a perfect fragrance oil for all sorts of room scenting creations! Many of our customers have found this scent to be great for their potpourri creations, room sprays, and even their candle products. We hope that you enjoy this spice scent in your own room scenting creations. What Does Potpourri Spice Fragrance Oil Smell Like? This fragrance oil by Natures Garden is a spicy combination of freshly ground cinnamon sticks, nutmeg, ginger, and clove. How Do Our Customers Use Potpourri Spice Fragrance Oil in Room Scenting Recipes? Our spice loving customers that enjoy creating different kinds of room scenting products will be happy to know that this fragrance oil can be used for these products. Both potpourri and incense recipes can use a maximum of 50% for this delightful spice fragrance oil. Also, the aroma bead products can use this fragrance oil and will retain a nice, strong scent for these products. Lastly, bring spice to any room by creating smelly jelly jars with Potpourri Spice Fragrance Oil. Further, wax tart and candle recipes can be made with this spice blend fragrance oil. These products are permitted to include a maximum of 10% for this scent. Both Joy Wax and WOW Wax products can include this fragrance oil perfectly. Additionally, soy wax creations can use this fragrance while retaining a nice, strong scent. Do you want to know how we would color wax products that include this fragrance oil? Then, we would suggest using a small amount of shredded red plus orange and brown color blocks. Another option is three drops of red liquid candle dye along with two drops of orange liquid candle dye and one drop brown candle colorant. 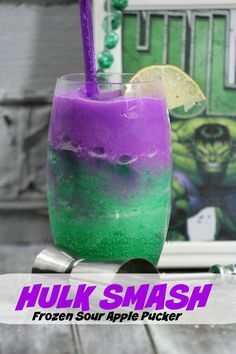 This suggestion is per four pounds of wax that is used. How Do Our Customers Use Potpourri Spice Fragrance Oil in Bath and Body Recipes? While Natures Garden customers can use our Potpourri Spice Fragrance Oil to create room scents, this fragrance oil can not be used for bath and body products. It is not acceptable for it to be used on the skin. Bath gels, bath oils, perfumes, lotions, perfumes, soaps, scrubs, and other related bath and body products can not include this fragrance oil in their recipes. While household cleaning products aren’t technically made to be used on the skin, it is used in areas that typically accumulate quite a bit of skin contact. Therefore, homemade cleaning products can not be made safely with this fragrance oil. How Does Natures Garden Use Potpourri Spice Fragrance Oil? 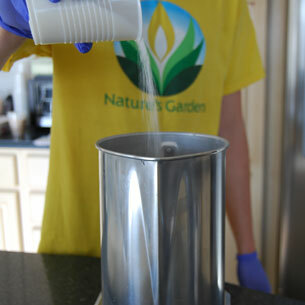 Natures Garden’s Spicy Liquid Potpourri Recipe is perfect for easily scenting your home. It is a perfect blend of beloved spice scents that create a lovely room aroma. Not only does this scent smell amazing, but it is incredibly easy to create and use this recipe. 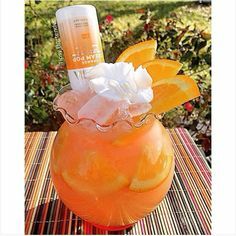 Just add some of this to a potpourri or candle warmer and let this creation do the rest. Your home is sure to smell simply amazing! This entry was posted in bath products, candle making supplies, Fragrance Oils, Natures Garden, Natures Garden Fragrance Oils, Soap making supplies and tagged 100 soy wax flakes, 100 soy wax wholesale, 100% soy wax, air freshening suppliers, air freshening supplies, aroma bead air fresheners, aroma bead fragrance oils, aroma bead scents, aroma beads, best soy wax for container candles, best soy wax for scent throw, bulk candle aromas, bulk candle making supplies, bulk candle scents, bulk candle supplies, bulk candle wax, bulk candle wax for sale, bulk soy candle wax, candle making, candle making suppliers, candle making supplies, candle waxes, candlemaking supplies, Candy Fragrances, candy scents, cinnamon, cinnamon candies fragrance oil, cinnamon candies scent, cinnamon candy aroma, cinnamon candy fragrance, cinnamon candy fragrance oil, cinnamon fragrance, cinnamon fragrance oil, cinnamon scent, cinnamon scented oil, cinnamon scents, fragrance oil, fragrance oils, homemade, make air fresheners, make bulk candles, make candles, make reed diffuser oil, natures garden, red candle dye, red hot candy, red hot cinnamon candy, red hot cinnamon fragrance oil, red liquid candle colorant, red liquid candle dye, reed diffuser base, soap making supplies, soy wax candles, soy wax flakes for candle making, soya wax, soybean wax candles, strong cinnamon fragrance oil, strong cinnamon scent, strong cinnamon scented candles, strongest cinnamon fragrance, strongest cinnamon scent, wholesale candle supplies, wholesale fragrance oils on September 18, 2016 by Deborah Ward. Chances are, your mouth already started tingling and watering just looking at the picture to the left. Red Hot Cinnamon Fragrance Oil from Nature’s Garden is the strong cinnamon scent of red hot cinnamon candies. The aroma is unmistakable, as the candies themselves. They almost seem more cinnamon than actual cinnamon, and that is just what this fragrance embodies! Unfortunately, this fragrance isn’t body safe, so we’ll be focusing on room scenting products throughout the rest of this post. Our recommended fragrance percentages for the products we will be discussing may seem a bit low, but please know that this is partially due to the fact that this scent is STRONG! If you’ve ever had the pleasure of tasting red hot cinnamon candies, you will know exactly what to expect when it comes to the aroma of this fragrance. Give Red Hot Cinnamon Fragrance Oil a try today! You just might find your new favorite cinnamon scent! What Does Red Hot Cinnamon Fragrance Oil Smell Like? Red Hot Cinnamon Fragrance Oil from Nature’s Garden is true-to-name, smelling exactly like red hot cinnamon candies! A valued customer from Oak Grove, KY detailed the scent, writing “This scent smells just like the red hot candies from when I was a kid. It is extremely strong and every time I smell it I can taste the candies.” We’re sure you’ll agree! How Do Our Customers Use Red Hot Cinnamon Fragrance Oil in Room Scenting Recipes? This is one HOT fragrance oil! Red Hot Cinnamon Fragrance Oil can be used to create cinnamon scented products to spice up any space! This spicy scent would be an incredible choice for making homemade reed diffusers. For this project, you would need to purchase Reed Diffuser Base, as you can only use this scent as up to 22% of your total recipe. Potpourri and incense recipes also work well with this scent, as Red Hot Cinnamon Fragrance Oil is frequently touted as stronger than cinnamon itself. These projects also adhere to the 22% fragrance maximum. With a maximum fragrance usage of 22%, this sweet cinnamon fragrance also creates strongly scented aroma beads, which make wonderful air fresheners. Candles and wax tarts can be made using Red Hot Cinnamon Fragrance Oil up to 10%. It works wonderfully in Joy Wax, Wow Wax, and natural soy waxes. If you color your candles, we would recommend 6 drops of red Spectrum liquid candle dye per 4 pounds of wax. You can also color your melted wax with a small amount of red color blocks. Crayons are never recommended to color your candles as they will clog your wick. Again, we would like to reiterate that this scent is not safe for bath or body products! Are you looking for a fun and creative way to get started using Red Hot Cinnamon Fragrance Oil? Check out our incredible craft recipe for Scented Valentine Glitter Shoes! What better way to accessorize than with a shoe that is sure to grab the attention of everyone around! This entry was posted in candle making supplies, Fragrance Oils, Natures Garden, Natures Garden Fragrance Oils, Soap making supplies, wholesale fragrance oils and tagged 100 soy wax flakes, 100 soy wax wholesale, 100% soy wax, air freshener recipes, alcoholic scents, amazing scented candles, apple cinnamon candle fragrance oils, apple cinnamon diffuser oil, apple cinnamon incense, apple cinnamon oil fragrance, apple cinnamon potpourri, apple cinnamon room scents, apple cinnamon scent, apple cinnamon scented candles, apple scents, autumn fragrance oils, autumn scents, best fragrance oil for candles, best seller, best selling spice scent, best soy wax for container candles, best soy wax for scent throw, bulk candle aromas, bulk candle making supplies, bulk candle scents, bulk candle supplies, bulk candle wax, bulk candle wax for sale, bulk soy candle wax, candle making recipes, cider aromas, cider fragrance oils, cider scented oil, cider scents, cider wholesale fragrances, cinnamon scented candles, cinnamon scents, fall aroma, fall candle scents, fall perfume scents, fall scents diy, fantastic scented candles, fragrance oil, fragrance oil for candle making, fragrance oil spotlight, fragrance oils for soap, fragrances for candles, great room scents, how to make scented candles, make bulk candles, mulled apple cider scent, Mulled Cider Fragrance Oil, mulled cider scent, mulled cider scented candles, natures garden, oil fragrance for candles, room scents with spice, soy wax candles, soy wax flakes for candle making, soya wax, soybean wax candles, spice scented candles, spice scents, spicy scented candles, strong air freshener scents, strong candle fragrances, strong candle scents, strong room scenting fragrances, wholesale candle supplies, wholesale craft supplies, wholesale fragrance oils on August 25, 2016 by Deborah Ward. Mulled Cider Fragrance Oil is a complex spice and fruit scent by Natures Garden. This aroma is a complex blend of fresh, citrus, and tart fruit scents that mingle with an abundance of fantastic spice scents. This potent spice blend is an amazing fall or winter time scent for scenting rooms. So many of our customers that have used this incredible mulled cider drink scent have found the fragrance to fill up their rooms and homes. Almost everyone that has reported back seems to have all kinds of love for this apple and spice fragrance oil. What Does Mulled Cider Fragrance Oil Smell Like? A fantastic and strong fragrance oil by Natures Garden! This fragrance has strong base notes of ripened apples and oakmoss, made spectacular with a complex blend of cinnamon, nutmeg, cloves, orange zests, lemon peel, and a touch of tart lychee berries and coumarin. Unbelievable! A Best Seller! How Do Our Customers Use Mulled Cider Fragrance Oil in Air Freshener Recipes? Our customers are able to use this fantastically complex spice fragrance oil to create amazing room scenting products. Both potpourri and incense are permitted to include a maximum of 50% of this apple spice fragrance oil. Also, aroma beads are able to use this fragrance oil and will maintain a nice and strong mulled cider scent. How Do Our Customers Use Mulled Cider Fragrance Oil in Candle Making Recipes? Moreover, this fragrance oil can be used to create amazingly scented candle products. Any candles that are made can include no more than 10% of this deliciously spicy fruit fragrance oil. Joy wax and WOW wax will both perform perfectly for this mulled cider scent. Also, soy wax products can use this fragrance oil and the scent will remain nice and strong. When coloring your wax, we suggest six drops red liquid candle dye and two drops brown liquid candle dye. Alternatively, a small amount of shredded red color block along with brown color block can be used. These recommendations are for a four pound batch of candles or wax tart recipes. Just remember, never use crayons to color your candles as they will clog your wick. While homemade room scenting products are able to be created using this alcoholic apple cider fragrance oil, bath and body creations are not permitted to be made with our Mulled Cider Fragrance Oil due to the fragrance oil not being body safe. Since this scent is not body safe, it can not be used on products made for the skin, bath, or any place where the fragrance my come into often or perhaps constant contact with an individual’s skin. Therefore, bath oils, bath gels, any kind of soap, lotions, homemade cleaning products and all other related bath and body products can not safely include this fragrance oil at any amount. This is a more common downfall of creating aromas that include a great deal of spice. However, they sure do make fantastic room scents for the autumn and winter! We hope that you enjoy this fragrance oil in your room scenting creations! 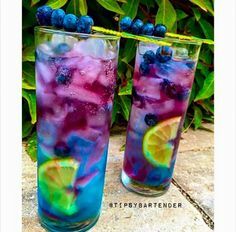 This entry was posted in candle making supplies, Fragrance Oils, Natures Garden, Natures Garden Fragrance Oils, Soap making supplies, Uncategorized, wholesale fragrance oils and tagged air freshener aroma ideas, air freshener fragrances, air freshener scents, bakery fragrance for potpourri, bakery scents for air fresheners, bakery scents for aroma beads, bakery scents for candles, bakery scents for incense, bakery scents for room scenting, best seller, best selling bakery scent, candle making supplies, cinnamon bakery scents, cinnamon bun scent, cinnamon dessert fragrance oil, cinnamon dessert scents, cinnamon notes, cinnamon roll aroma, cinnamon roll scent, cinnamon rolls scents, cinnamon scents, delicious scents, delightful aroma, dessert aroma, DIY air freshener scents, food scents, fragrance oil, fragrance oil spotlights, fragrance oils, fragrance that smells like dessert, fragrances for a bakery, good bakery scents, homemade cinnamon candles, homemade crafts, how to make cinnamon rolls scented candles, Iced Cinnamon Rolls -Original Fragrance Oil, natures garden, scents for a bakery, scents that smell like a cinnamon dessert, scents that smell like a cinnamon roll, scents that smell like dessert, scrumptious aroma, scrumptious scents, smells like a cinnamon roll, sweet cinnamon fragrance oils, tasty scent, true cinnamon scents, wholesale fragrance oils, yummy fragrance oil, yummy scents on July 11, 2016 by Deborah Ward. Iced Cinnamon Rolls Fragrance Oil is a scrumptious scent by Natures Garden. Not only does this fragrance oil have a delicious smell, but this tasty scent is a best selling fragrance! This delicious aroma is a scrumptious combination of cinnamon and butter pastry scents topped off with the sweet scent of warm frosting. It is believed that the very first cinnamon roll originated from Sweden. This delicious pastry was called a kanelbulle, which translates to “cinnamon bun”. Even more, today Sweden has added kanelbulle’s own special holiday to celebrate this delicious treat on October 4th. Which seems like the logical next step, I mean I’d celebrate too if I had created such a delicious dessert. So, let’s all give a great big thank you to Sweden for creating such a yummy dessert that everyone can enjoy! What Does Iced Cinnamon Rolls Fragrance Oil Smell Like? This fragrance oil by Natures Garden is the wonderful aroma of fresh baked cinnamon rolls with buttery icing. One of our best selling fragrances! A Best Seller! How Do Our Customers Use Iced Cinnamon Rolls Fragrance Oil? Our customers can use this delicious pastry fragrance oil to create their very own room scenting recipes that will make their rooms smell fantastic. First, potpourri and incense can be used up to 50% for this cinnamon scent in their craft recipes. Also, this aroma will remain nice and strong when used in handmade aroma bead products. This bakery fragrance oil can be a great addition to homemade candle recipes. Any candle craft recipe that uses either vegetable waxes or paraffin wax can include a maximum concentration of 10%. Our Joy Wax, WOW Wax, and even Pillar of Bliss Wax will all perform perfectly when using this sweet cinnamon fragrance. Additionally, Iced Cinnamon Rolls fragrance oil’s scent will remain nice and strong in homemade soy wax tarts and candle recipes. 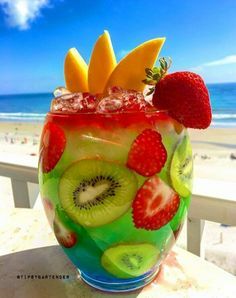 If you decide that you want to color your candles, then we suggest using either three drops of red liquid candle dye along with two drops of brown liquid candle dye or a small amount of shredded red color block and brown color block per four pounds of wax. Remember to never use crayons to color your candles as they will clog your wick. While this yummy bakery fragrance oil can be used to create delicious DIY room scenting products, this dessert fragrance oil can not be included in any bath and body products. Since our Iced Cinnamon Rolls Fragrance Oil is not safe for body use, the scent should not be included in products that remain on the skin. 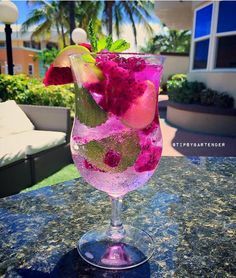 Therefore, products such as bath oils, bath gels, soaps of any kind, lotions, homemade cleaning products, and any other bath and body product are not considered safe if this fragrance oil is included in the recipe. We believe this scent is perfect for creating various room scenting products and we hope that you enjoy this scrumptious bakery fragrance oil in your homemade products! 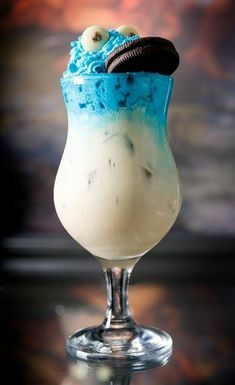 This entry was posted in candle fragrance oils, candle making supplies, Fragrance Oils, Natures Garden, Natures Garden Fragrance Oils, wholesale fragrance oils and tagged aroma beads, bakery aromas, bakery fragrance oils, bakery scent, bakery scents, butter, cake, candle fragrance oil, candle making, candle making supplies, candle scents, candlemaking supplies, candles, cinnamon, cinnamon doughnuts candle oil, cinnamon doughnuts fragrance oil, cinnamon doughnuts recipe, cinnamon fragrance oils, cinnamon scents, Crafts, crafts as a hobby, diy, donut aroma, donut fragrance oil, donut scent, doughnut aroma, doughnut fragrance oil, doughnut scent, fragrance, fragrance oil, fragrance oil spotlight, fragrance oils, fragrances for aroma beads, free recipe, gourmand aromas, gourmand fragrance oils, gourmand scents, homemade, homemade candles, house smell good, how to make cinnamon doughnuts, incense, joy wax, natures garden, natures garden candle supplies, potpourri, room scenting supplies, Soy wax, sugar, sweet and spicy scents, sweet cinnamon fragrance oils, vanilla, wholesale fragrance oils on April 15, 2016 by Deborah Ward. Cinnamon Doughnuts Fragrance Oil from Nature’s Garden is the mouthwatering aroma of freshly baked cinnamon sugar doughnuts. This sweet and spicy aroma is sure to have you craving a delicious treat. Have no fear, smelling this incredible fragrance will not result in you taking in any calories! Enjoy this scent as it wafts from your room scenting products, eliciting the memories of your favorite holiday-time bakery. For some of you, this could very well be your own kitchen! The aroma of baked yellow cake mingles with the distinct spice of cinnamon, making Cinnamon Doughnuts scent an irresistible bakery concoction. Fill your home with the enticing scent of fresh Cinnamon Doughnuts Fragrance Oil today! What Does Cinnamon Doughnuts Fragrance Oil Smell Like? Cinnamon Doughnuts Fragrance Oil is an absolutely divine bakery scent. The aroma of fresh-baked yellow cake goes hand-in-hand with the scent of crushed cinnamon bark to create a delectable treat for all to enjoy. This fragrance is finished with a sweet, buttery vanilla aroma to round off the blend. How Do Our Customers Use Cinnamon Doughnuts Fragrance Oil? Cinnamon Doughnuts fragrance oil can be used in a wide variety of products. Warm up your atmosphere with the alluring aroma of freshly baked cinnamon doughnuts. Room scenters can create potpourri and incense with this fragrance oil, incorporating up to 23% fragrance oil in recipes. This fragrance oil is also nice and strong in aroma beads. Cinnamon Doughnuts Fragrance Oil can be used in vegetable and paraffin wax products, such as candles and tarts, by incorporating up to 10% fragrance oil. This scent will perform perfectly in Joy Wax, Wow Wax, and is nice and strong in soy waxes. If you wish to color your candles, we would suggest 2 drops of brown, and a small amount of yellow and orange liquid candle dye per 4 pounds of wax. A small amount of brown, orange, and yellow color blocks could also be shredded into your melted wax. Never use crayons to color your candles as they will clog your wick. Unfortunately, Cinnamon Doughnuts Fragrance Oil is not body safe. Please do not attempt to use this fragrance in bath and body products, soaps, or household cleaning supplies. There is, however, one way other way you can enjoy cinnamon doughnuts, and that is by making these delicious treats for yourself! Put flour in pan. Add baking powder, sugar, and salt. Add butter to mixture by hand. Add milk and beaten egg, stirring thoroughly. Roll dough to approximately 1/4 inch in thickness. Flour dough, shape, and fry. Dust cooled doughnuts with cinnamon sugar. Now, you’ve gotten a delicious scent and a delicious treat. Dedicate some time to making some incredible-smelling tarts and candles while those doughnuts cool, then reward yourself with a sweet, delectable snack! This entry was posted in candle making, candle making supplies, Cinnamon Fragrances, Free Candle Recipe, Natures Garden, Pillar Candles, Valentines Day Recipe and tagged candle for valentines day, candle in the shape of a heart, candle making, candle making projects, candle recipe for valentines day, candle scented with cinnamon, candlemaking recipe, candles for valentines day, cinnamon scented candle, cinnamon scents, cinnamon yum yums fragrance, cinnamon yum yums scent, craft ideas for valentines day, cute valentines candle, easy to make products for Valentines Day, free valentine's day recipes, heart shaped candle, heart shaped candles, how to make a candle, how to make candle frosting, making candles with molds, pillar candle recipes, projects for valentines day, strong cinnamon candle scents, valentines candle making, valentines candle projects, valentines crafts, valentines day candle, valentines day cupcake candle, Valentines Day projects on January 15, 2015 by Deborah Ward. With Valentine’s Day right around the corner, what could possibly be better than a Valentines Day Cupcake Candle?!?! We had a blast creating this cinnamon scented candle…complete with SPRINKLES!!! It is both adorable and smells amazing! 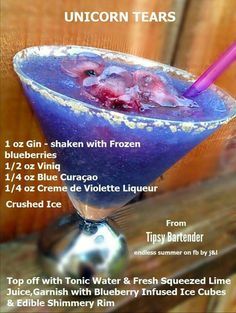 So if you are looking for the perfect Valentine’s Day project, you may have just found it! 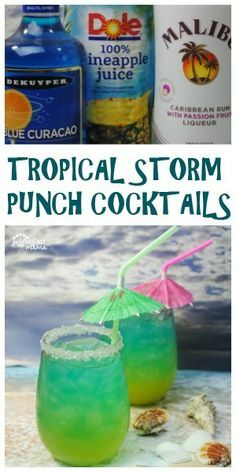 So go ahead and get the below ingredients ready. Once you’re ready, let’s get started on this simple and fantastic candle recipe! 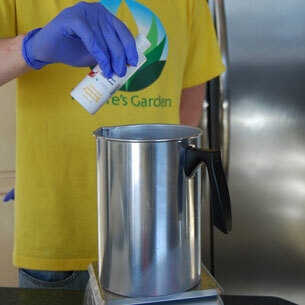 To start, weigh and melt 230 grams of our Pillar of Bliss Wax, using the double boiler method. You will want to melt the wax to 195 degrees. The wax will take a bit to melt. While it melts, let’s go ahead and prepare our molds. 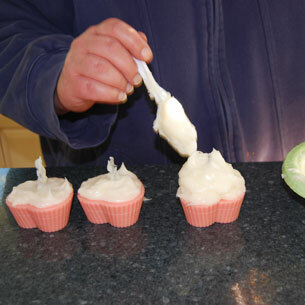 You are going to need 3 of the Silicone Heart Cupcake Molds and 3 of our votive wick pins. Place one wick pin in the center of each silicone mold. Add a bit of your red color block to the wax. We found that we only needed a couple shavings to get a light pink for our cupcake candle base. Now, let’s add our fragrance. You will need to stir into your wax 23 grams of Cinnamon Yum Yums scent. Make sure you stir it very well so the fragrance mixes thoroughly with the wax. Next we can go ahead and start filling the molds with the melted wax. Be sure to fill each mold to the top. As you can now see, you will have a little bit of the Pillar of Bliss Wax left over. We will need this wax for our embeds. Before pouring the embeds, add a little bit more of the red color block. We simply added a couple more shavings. You will only need to fill three of the cavities of the Love Hearts embed mold. 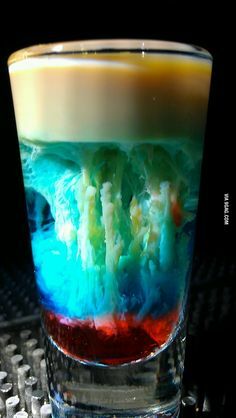 Make sure you pour at a low temperature since this is a plastic mold. For now you can set these aside and allow them to setup. We will use them in a bit. Let’s go ahead and start preparing our frosting. Use a double boiler to melt 140 grams of our wonderful Joy Wax. Allow it to melt to 200 degrees, then allow the temperature to drop to 175 degrees, and add 14 grams of our Cinnamon Yums Yums Fragrance Oil. Be sure to stir that fragrance oil in very well. Now comes the fun part! Remove the silcone heart cupcake mold and…LETS DECORATE!!!! 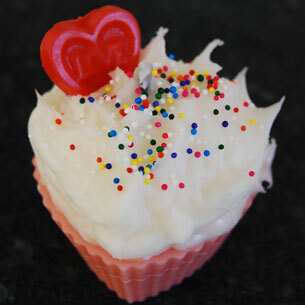 Add sprinkles to the top of each heart candle and one heart embed to each Valentines Day Cupcake Candle. We will need to continuously stir, stir, stir that wax until it cools and looks like frosting. Once you have a nice and thick frosting, start placing it on top of your heart cupcake base. You want you frosting go up to the height of the wick pin. Just be careful not to cover the wick pin completely. Finally, just let them setup. Then, remove the wick pins and thread one CD 10 to each candle. Trim the wicks back before you burn them. You need them to be about ¼ inch. 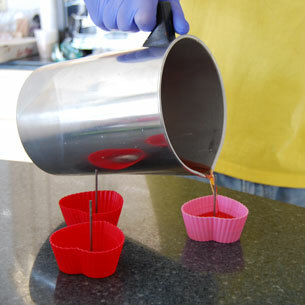 We hope you loved making the Valentines Day Cupcake Candle as much as we did! Enjoy your Valentine’s Day and your fabulously scented cinnamon candle! Make sure you check back for more fragrance fun! Also, check our recipe box that is packed full of recipes and classes! This entry was posted in candle fragrance oils, candle making supplies, Fragrance Oils, Natures Garden, Natures Garden Fragrance Oils, wholesale fragrance oils and tagged apple cinnamon, apple cinnamon fragrance, apple cinnamon scent, apple fragrance, apple scents, apple smells, candle ingredients, candle making, candle making supplies, candle recipes, candle scents, candle smells, candle supplies, candles, cinnamon, cinnamon fragrance, cinnamon scents, crafts as a hobby, crafts for kids, food fragrances, food smells, fragrance, fragrance oil, fragrances for candles, free candle recipes, free recipe, free recipes for candles, natures garden, natures garden candle supplies, scents for candles, smells like cinnamon, smells of apples, wax tart recipes, wholesale fragrance oils on October 29, 2014 by Deborah Ward. Our original Apple Cinnamon scent is sure to delight your senses. It is a smell that is sure to throw your taste buds into over drive, and remind you of every delicious apple recipe you’ve ever tried. Whether it’s apple cider or plain old apple pie, this fragrance will get your stomach rumbling with its’ delicious reminders. Apple Cinnamon is sure to be a scent that will keep everyone you know coming back for more again and again. If you are looking for a scent to get everyone’s taste buds tingling, then this is the perfect one! What Does Apple Cinnamon- Original Smell Like? 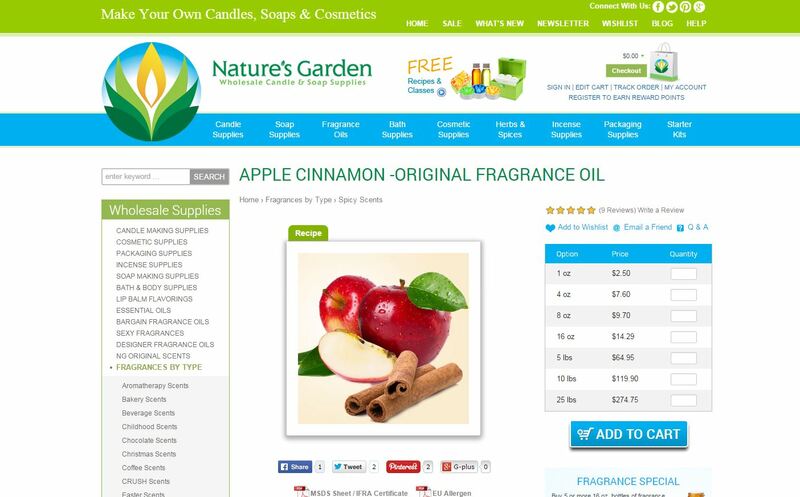 Apple Cinnamon- Original fragrance by Nature’s Garden is a NG original scent! It is the wonderfully delectable scent of fresh cinnamon sticks sprinkled over a delicious juicy red McIntosh apple. 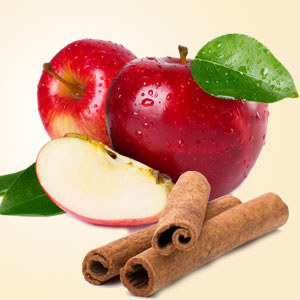 How Do Our Customers Use Apple Cinnamon- Original Fragrance Oil? Are you looking for the perfect way to tingle the tastes of everyone you know? Then Apple Cinnamon is precisely what you’ve been looking for! For all the candle makers out there, this scent is just what you’ve been searching for. It performs perfectly in wow wax and joy wax, and is also nice and strong in soy wax. You can also get the smell of Apple Cinnamon wafting throughout your house by using this amazing fragrance in potpourri or incense. It has a maximum usage rate of 50%! For all the crafters out there who like to make their own bath and body products, unfortunately this fragrance is not body safe. So please do not use it for any lotions, perfumes, bath gels, or any other kind of bath and body product recipe. 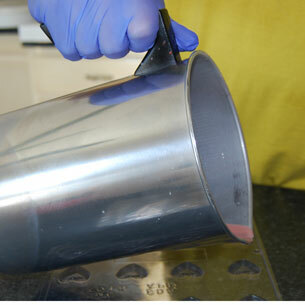 Melt and pour and cold process soapers, this includes you as well. However, we do offer a body safe version found here. Apple Cinnamon- Original scent is the perfect scent for any candle or project you are in the mood for. It is a fragrance that is sure to bring back delicious childhood memories of possibly your first taste of apple cider, or maybe your first time trying a candy apple, bobbing for apples, or even your very first delectable taste of a yummy apple pie! Who can turn down the scent of a tasty red apple? This smell is definitely one that you and everyone you know will surely not be able to resist! Are you just drooling at the thought of this wonderful fragrance? Wondering what the easiest way to find this awesomeness is on our new website? Well, all you have to do is type “apple cinnamon original” into our search bar and it will take you directly to this amazing fragrance! But hold on, there’s more! On the top of the fragrance picture is a little green link that says “Recipe”. If you click on that link, it will show you the name and a picture of one of our many free recipes, Candle Wax Tarts! By clicking that link, it will take you directly to that wonderful recipe! But be sure to check out all the rest of our free recipes and classes as well! You will definitely love them! 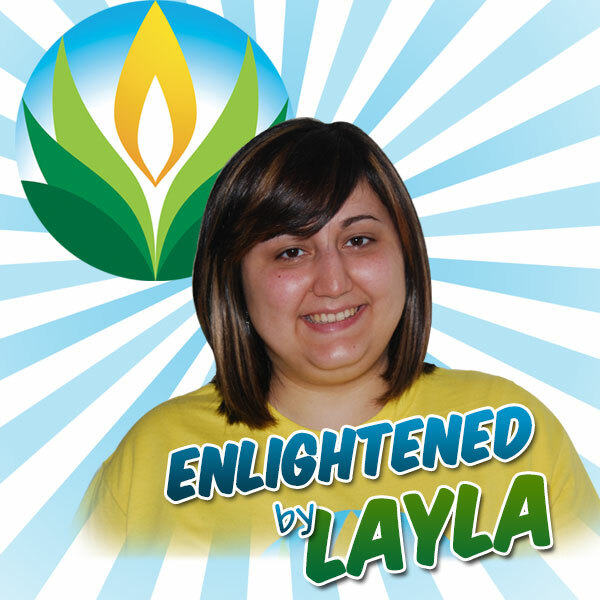 Have fun and keep watching for more Enlightened by Layla!